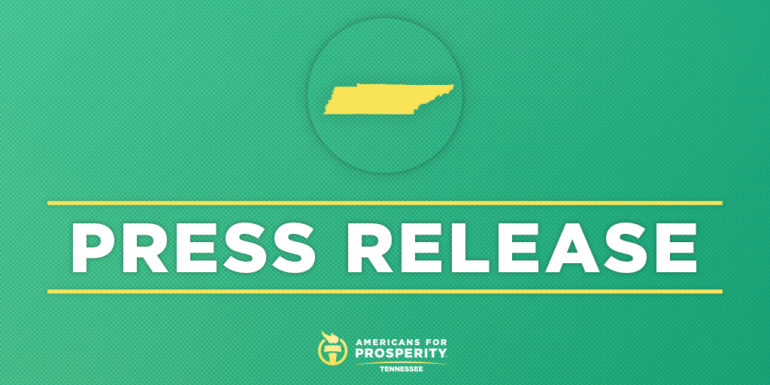 NASHVILLE, Tenn. – Americans for Prosperity-Tennessee (AFP-TN) today announced a new seven-figure investment in television and digital advertisements highlighting Phil Bredesen’s record as a big spender and supporter of higher taxes. Americans for Prosperity is spending $2 million on the new ad that is hitting the airwaves statewide this Thursday. 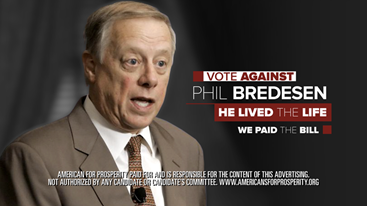 The ad exposes Phil Bredesen’s support of higher taxes and out-of-control spending while governor. View the TV ad here. When times are tough, we budget for our families. But when our states budget was in crisis, Phil Bredesen supported higher taxes on us. Higher gas taxes, sales taxes, and more. Bredesen wasted nine million taxpayer dollars upgrading his Governor’s mansion. Four million on a party cave, gilded bathrooms and a kitchen worth two Tennessee homes. Phil Bredesen lived the life. We paid the bill. AFP-TN recently announced it has mobilized its activists and launched grassroots activities in support of Marsha Blackburn.